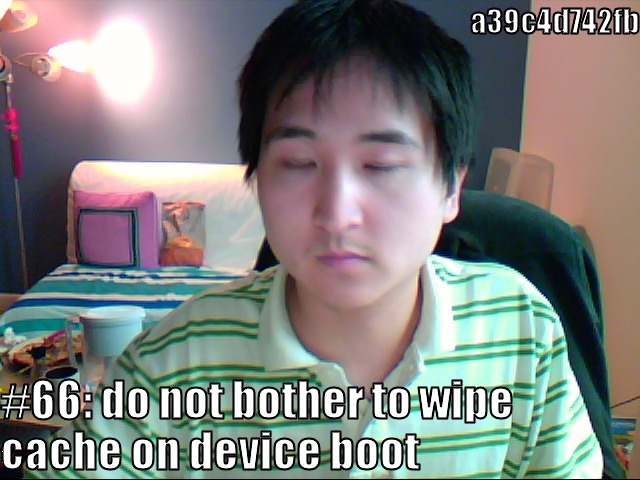 Today I started to use this great little program called lolcommits, which takes a webcam picture as a hook for every git commit. It's nice to have a record of my face while programming! Initially I wanted something to help with accountability, so each week I could show people my progress. 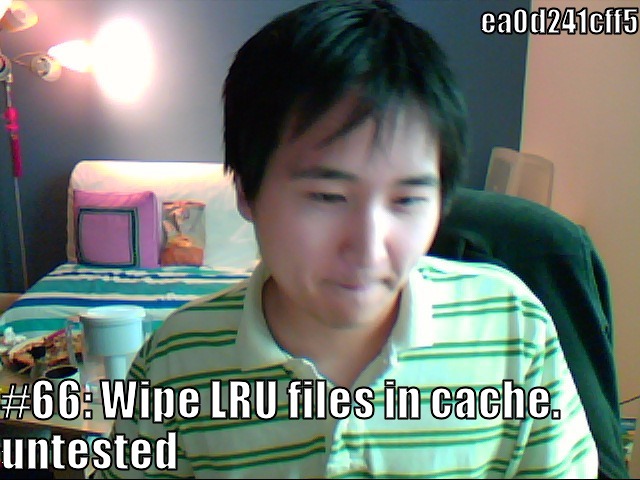 I'm not sure if lolcommits is that "something," but it's sure fun to have the photos! Facial expression seems to match "do not bother"
UPDATE July 7: After 12 days of using lolcommits, I uninstalled it. The photos mostly looked the same, and the 5-10 second delay after every commit was finally getting on my nerves.